Lighthouses beckon the way home to weary travelers on the sea and they serve as a tourist attraction in port towns all over the coast. If you love the nostalgia and seaside feel of a quaint lighthouse, why not make your own lighthouse for display on a shelf or even on your property? You can purchase a lighthouse kit for assembly or pay someone to make you a lighthouse, but it's simple to make with some standard materials. 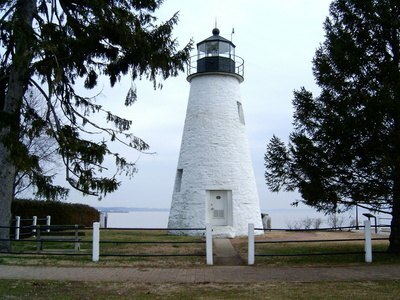 A lighthouse can be made of paper, concrete or wood frame construction. Use this basic plan and customize the lighthouse to any size you need. Lighthouses are a fixture in many seaside towns. Purchase aluminum or steel sheet metal in any size you desire from a home improvement store or sheet metal supplier. Be sure the sheet metal is thick enough to provide structural support to the lighthouse construction and flexible enough to bend in a curve. Mark a matching cone shape about 40 inches long on two panels of sheet metal so the bottom of the cone is twice the width of the top. 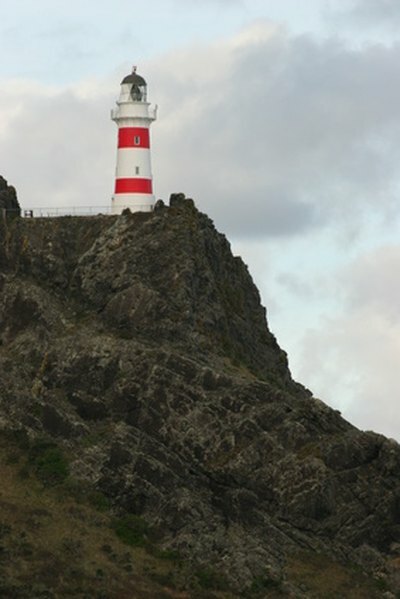 For a lighthouse standing 3 to 5 feet tall, the top should be about 10 inches across and the bottom should be 20 inches across. Cut out the shapes with tin snips. 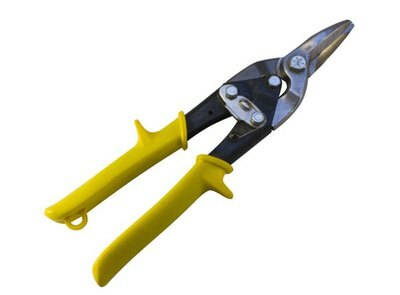 Handle tin snips with care to avoid injury. Purchase or make a round wood donut for the inside top and bottom of the lighthouse. Use lumber that is at least 2 inches thick and cut the circle out with a jigsaw. For a lighthouse about 3 to 5 feet tall, the top donut should be about 6 inches in diameter. The bottom should be about 12 inches. Drill a 3/4 inch hole in the center of each donut. The wood donuts help keep a cone-shaped lighthouse sturdy. Place the bottom donut on a flat surface. Position one sheet metal panel against the side of the donut and bend the metal to encircle the donut as you secure the metal to the donut with nails, screws or rivets. Repeat the process for the top donut. Position the second panel so it overlaps the edge of the first panel and bend the second panel to encircle the donuts. Secure the second panel to the donuts with rivets or screws and connect the two sections of sheet metal with rivets or screws along the seam. Use a strong sheet metal that will bend. Cut a top for the lighthouse out of a 10-inch-round donut made from 3/4 inch plywood. Drill a 3/4 inch hole through the center. Attach the piece to the top of the lighthouse with four to five wood screws drilled through the interior donut. 3/4 inch plywood is strong enough for the lighthouse top. Fit the lighthouse with a premade lighting fixture. Run the electrical cord through the holes drilled in the donuts and the top of the lighthouse. Fit your lighthouse with a simple light bulb fixture or shop at a lighting store to find just the right fixture to resemble the top of a lighthouse. Lantern style fixtures work well and usually offer a square base which you can secure to the lighthouse top with screws. Paint your lighthouse any way you desire and put it on display. 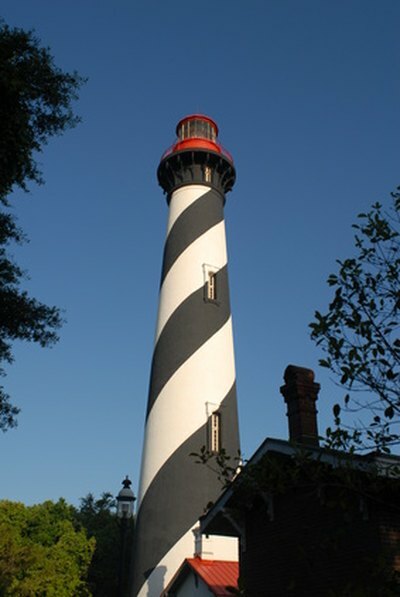 Many lighthouses are trimmed in bold paint stripes.